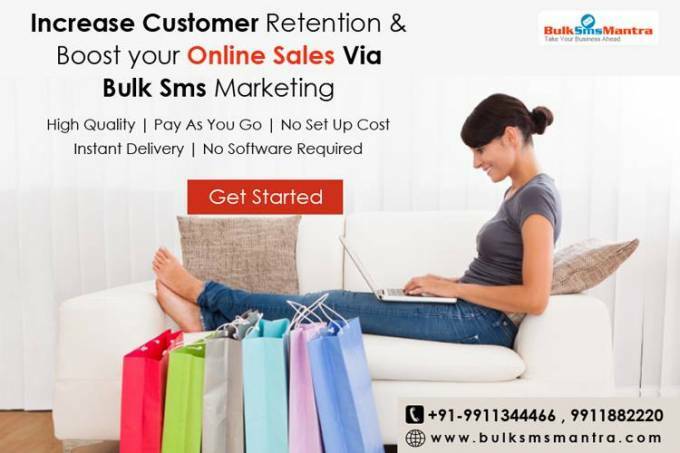 What Makes Bulk SMS A Great Marketing Tool for all type of business? People are more active on Mobile: Mobile is becoming more and more important for all people. They do all operations through mobile and maximum time they available on phone. Because of more active on phone, Bulk SMS Service plays vital role as marketing tool. High Open Rates: A simple phone message can convey the information without wasting anyone’s time. Most of the people receive messages they open & read, it is very reliable to say about your products/services to customer end. They keep impression in their mind about your products/services. Reliable & Cost effective: Bulk SMS is very reliable & cost effective for all Industries as it provides a panel to through which can send SMS in bulk & reach to customer place anytime wherever they are. If you compare this with other mode of marketing tool, you can get this panel at very low cost & east to use. High Response Rate: Due to high response rate from SMS Service, Companies use this to generate leads and convert it into business. This is the easy way to generate revenue for your business. Customer Relationship Management: To maintain relationship with your existing customers Bulk Sms Service provides an attractive marketing tool. Sending alerts from your company as customer’s availed service from you make them happy and make them to go for next purchase.